Hi guys I’m new to reef keeping and I need some help with my candy coral I bought it on Saturday (5 days ago) and it seems to have a tube coming out of it and a hole in it I don’t know what’s going on can anyone please help me out? Tubes are usually some sort of worm like a feather duster. After your lights are off for awhile and the room is dark, get a flash light and see if anything is coming out. Feather dusters are nothing to worry about. I agree. If you are to worried about it, just take it out of water, break off the tube and put it coral back in the water. Be careful while breaking the tube. They are pretty fragile but can be razor sharp on the edges. You don’t want to poke yr self. Nice looking piece you got there. I didn't see the hole but as long as it's in the stem and nothing is living in it I wouldn't worry about it. I haven't seen a creature like that before, but I know I would kill it. 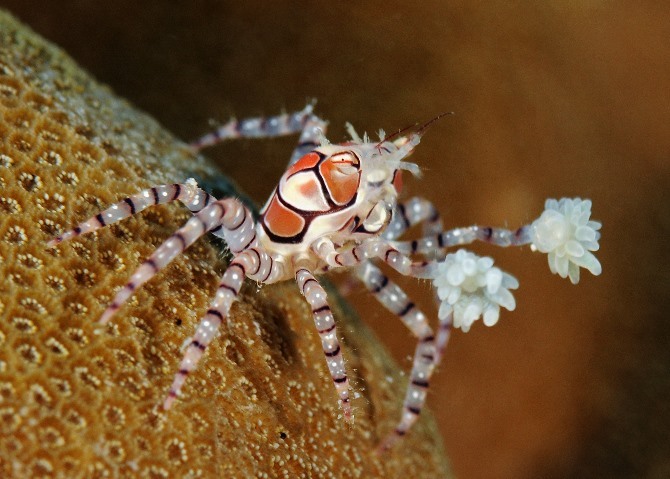 Oh that looks like a pom pom crab. If so, they are fine to keep and very beautiful.